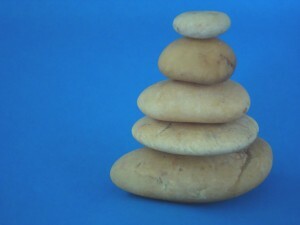 As we get sicker in our addiction our daily structure gets distorted and our self care falls away. When we get clean and sober our daily structure needs to change to accommodate our healthy recovery behavior. You may have wasted lots of time on using and getting over the effects of using—feeling hung over. You may have stayed up late and slept in and given up healthy eating, sleeping and recreation which often happens when drinking and using gets heavy. Addiction is a destructive force in our lives. Once you quit you will be greatly helped by developing more positive, healthy routines. The road to healthy habits is paved with positive routines. At first, it may seem like an overwhelming task, but its structure in your life that will make all the difference to your success in addiction recovery. Why is a recovery routine important? It allows you a way to break down all the things you need to do in a day and make them much more manageable. It gives you a sense of stability and purpose and will steer you away from cravings, urges, procrastination, anxiety, and worry. It can keep you from falling back into old unhealthy and destructive patterns of drinking and using. Begin simply and slowly. In the early weeks, do what is really essential in a day to take care of yourself. If you used to drink and use every day how about going to a 12 Step meeting a day to keep the focus on recovery and learn new tools to stop your addiction? Get a home group and a sponsor and start working the steps. Get phone numbers and establish a support group of new friends to call when you are having trouble and to go and have fun with. You will probably be needing some new clean and sober friends in your early recovery. Eating 3 nutritious meals and that includes a good start to the day with breakfast is important to your recovery by keeping your blood sugar stable. Watch the coffee and sugar and refined flour products which all spike blood sugar and can cause cravings. Stock up the fridge with fresh vegetables, fruit and wholesome foods and the cupboards with whole grains. It might mean you need to get a cookbook or go online to get recipes. Eventually you can begin to build menus or even create your own dishes to improve your health. Start with the basics of routine meals to nourish and strengthen your body. Keep a bowl of fruit or granola bars on the table. If nutritious foods are available, you won’t need to grab the junk food. Missing a meal or substituting junk food like a bag of chips or a candy bar will only leave your body deprived of fuel and nutrients. These kinds of foods might comfort, but they won’t nourish. They might be easy to buy or eat, but they won’t support physical bodily needs and can lead to more cravings. Hunger will leave you weakened which can lead to feeling nervous, anxious or depressed and at the mercy of old cravings and urges. Have a container of water in the fridge like a Brita jug. Thirsty? Cold water, right on tap, will hydrate you. Physical exercise and sleep are also critical to addiction recovery. This doesn’t mean starting to train for the next 10K run. Try a short walk, maybe around the block. Regular exercise can relax both your mind and body and help you sleep better. Try to get 6-8 hours of sleep. Turn off that TV and get a good night’s rest, you will be grateful the next day. You may need even more. Rest will give your body the opportunity to heal and recover. Re-establishing the inner body clock will allow you to achieve a more useful rhythm to your life. One very helpful way to plan is by keeping a journal such as a day planner. You can keep track of personal activities like meetings exercise, prayer and meditation and meals. You can write down appointments with counsellors or sponsors and special therapy meetings which are critical to moving forward in your recovery. It’s good to get a home group and attend regularly so folks can get to know you and help support you in your recovery. As you begin to successfully follow a routine, life will take on a more stable flow. This boosts self confidence so that when the tough moments crop up, you can better handle them. As you progress, take note of it and be grateful each day. Acknowledge you’ve made it through the day clean and sober with the help of your Higher Power and support group. That’s huge. You’ll be stronger for the next day. Building a routine and managing to stick to it day after day will build self-esteem. You’ll be able to set other goals in your life. With the help of a routine, a structure in your life, step by step recovery will happen. Sign up for my newsletter: Free to be Me: Recovery from Addiction and Codependency and get your free report: “10 Ways to Prevent the Dreaded Relapse” at http://www.ginavanderham.com/newsletter-subscribe.